This is my circa 1947 Model 111 12"x36" belt-drive Clausing metal lathe! I was fortunate enough to pick this up from a local salvage outfit. The story goes that the old fellow that he got it from, used it for making underwater photography light holders. These consisted of a series of aluminum bulbs strung together with a small cable like pearls. When the light was positioned properly, a cam on one end of the cable locked it into position. 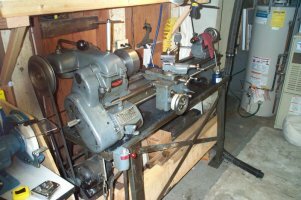 This is my gundrill driver setup. After some research, I decided to go with Hypertool gundrills. I designed a few modifications to their standard 1" driver so I could attach compressed air for chip clearing and screw on a #2 Morse taper adapter. The taper holds the drill in the tail stock of the lathe. 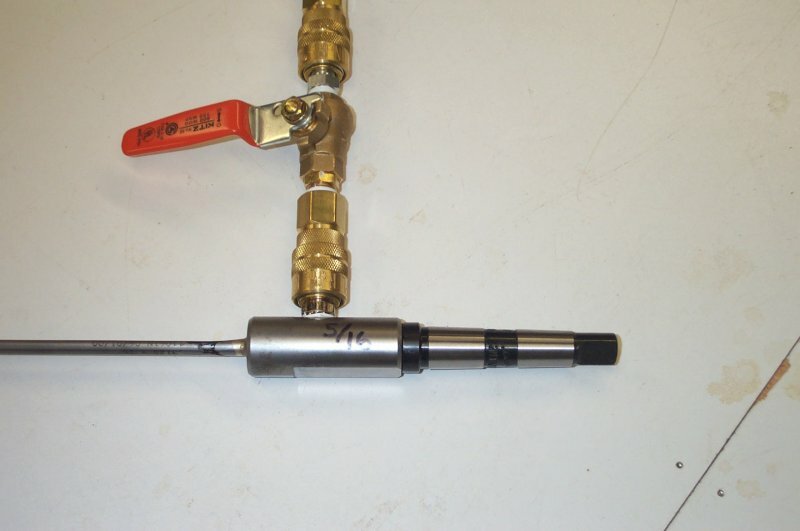 The business end of the drill is shown below and to the left. In section, it looks like a circle with a quadrant cut away. 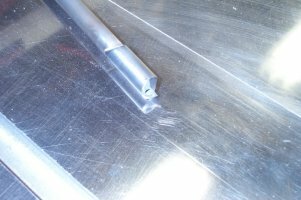 The end has a spiral ramp ground in it to shear the bottom of the hole. 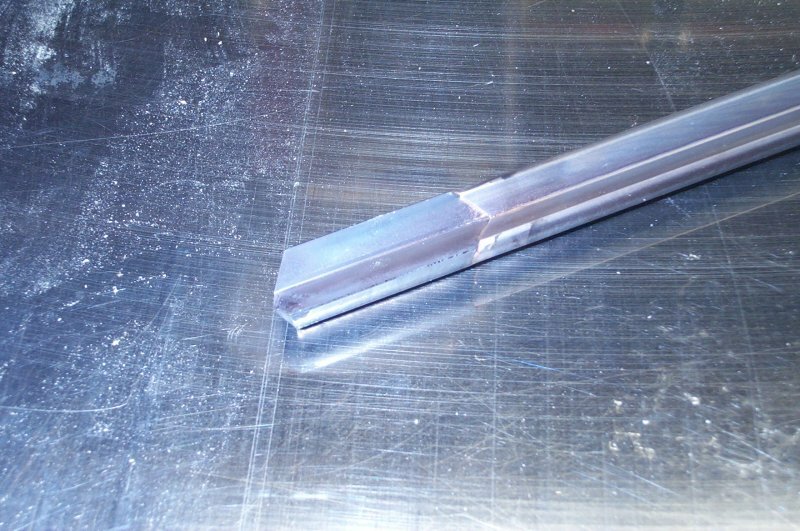 There is a small hole drilled just behind the cutting edge that leads to a coolant passage inside the shaft of the drill for chip clearing. 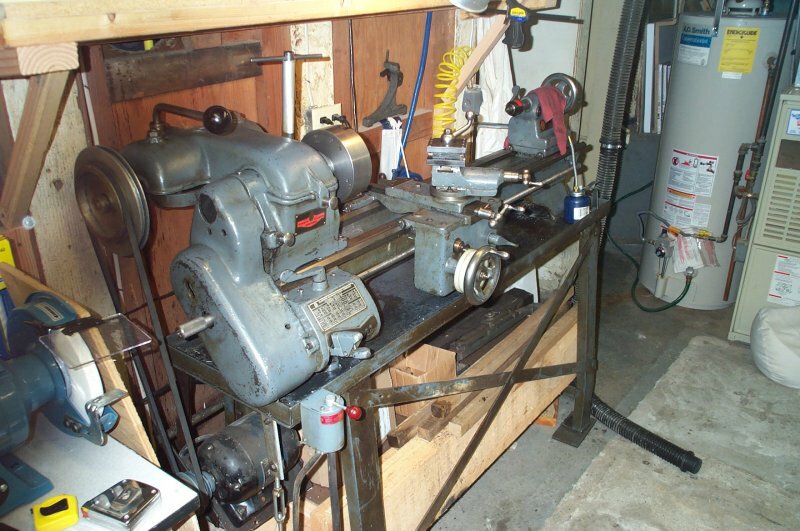 This is my little wood lathe. It was my grandfather's. I use it mostly for sanding and finishing operations in pipemaking. 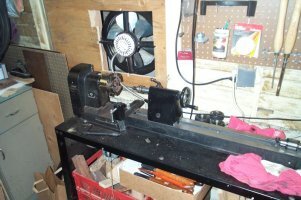 It spins much faster than the metal lathe. Because the dust is very bad to breathe, I fitted an attic fan into the window frame that exhausts under the front porch. 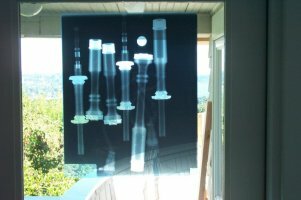 Here is one of the x-rays oncologist Dr. Jack Hutcheson Jr. from Piper-L made for me of his circa 1920's Henderson pipes. These were invaluable to me in this project. They say a picture is worth a thousand words. These s-rays are no exception. The circle above the bass drone top section is a quarter. I used it to calculate the distortion in the x-rays. It turned out to be 105.0%.